Cannonball is wearing goggles. Its the Mutant Liberation Front. And the grunts I dont need to explain. 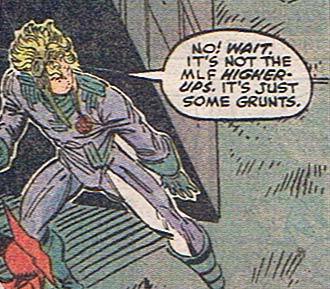 Rob Liefeld comics are so complicated arent they!